Every time we use cosmetics, we expose our products to air, moisture and/or bacteria. Over time, the efficacy of the preservatives in cosmetics diminishes. As a result, cosmetics have the potential to become a breeding ground for bacteria. And when applied to the skin, cosmetics contaminated with bacteria could cause irritation, skin rashes or even worse – an infection! The FDA does not require manufacturers to include an expiration date on most cosmetics. Yet, from the moment a cosmetic is opened, the effectiveness of the preservatives used in the product declines and the opportunity for bacteria to grow increases! So, how do you know when it’s safe to use it or when to toss it? An unwritten guide is if it has a foul odor, is discolored or undergoes a change in texture, it needs to be deposited directly into the garbage. 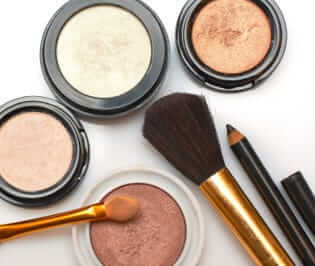 To increase the life of your cosmetics, always store them in a dry, cool place, keeping them tightly sealed. Eye Pencils – 1 year – To increase longevity, sharpen frequently to rid potential bacterial build-up. Never use eye makeup if you have an eye infection or irritation, as it may intensify the irritation and may spread an infection to an uninfected eye. Fragrances – 3 years (cologne and perfume) - To keep your favorite smells fresher longer, try storing them in the refrigerator. Lotions, Creams, Masks – 3 years – Separation or hardening of the product will be the first tell-tale sign that these types of products are nearing the end of their “lifespan”. Even though the FDA does not require cosmetics to have expiration dates, Life’s Abundance eliminates the guess work by marking every packet of Revitalizing Clay Mask with an expiration date, thus ensuring effectiveness and safety. Finally, remember to never share your cosmetics. Sharing not only invites the possibility of exposing your cosmetics to new bacteria, but it also can spread bacteria to the person you’re sharing with, which increases the chances for irritation or infection. Let’s go ladies and gentlemen, get in there and tackle those cosmetic drawers, and usher in a new year of better skin health!